CHRHF Builder Inductee W. (Bill) D. Graham passes. The Canadian Horse Racing Hall of Fame sends our condolences to the family and friends of 2014 CHRHF Builder Inductee William (Bill) D. Graham, who passed away Tuesday, January 15th following a battle wtih cancer. Born in Goderich, ON in 1937, Graham was an outstanding athlete in Brampton, playing football, hockey and lacrosse. He spent three years as a lineman in the CFL for the Toronto Argos, Calgary Stampeders and B.C. Lions before retiring to join his brother Don in the construction business. While Bill Graham made a living in the heavy construction business, Graham Bros. Construction, he had a passion for Thoroughbred breeding and racing which he fulfilled at his Windhaven Farms, located in Caledon and Kentucky. Among Windhaven’s talented horses are Sovereign Award winners Wavering Girl, Fantasy Lake, Cotton Carnival, Canadian Oaks’ champion Blondeinamotel and Proud Lou, winner of the Grade 1 Frizette Stakes at Belmont. Graham’s first really outstanding filly was Majestic Kahala. She won the E.P. Taylor, Nassau, Autumn and Duchess and was later sold for $2.5 million. Graham sold one of her offspring, Malaak, for $650,000 at Keeneland. She went to England and won the 1984 Cheshire Oaks at Chester and was favored for the Epsom Oaks. Bill, has continued to raise and sell some of the best Canadian bred horses in North America, having sold a yearling at last week’s January Keeneland sale, a Nyquist youngster for $220,000. 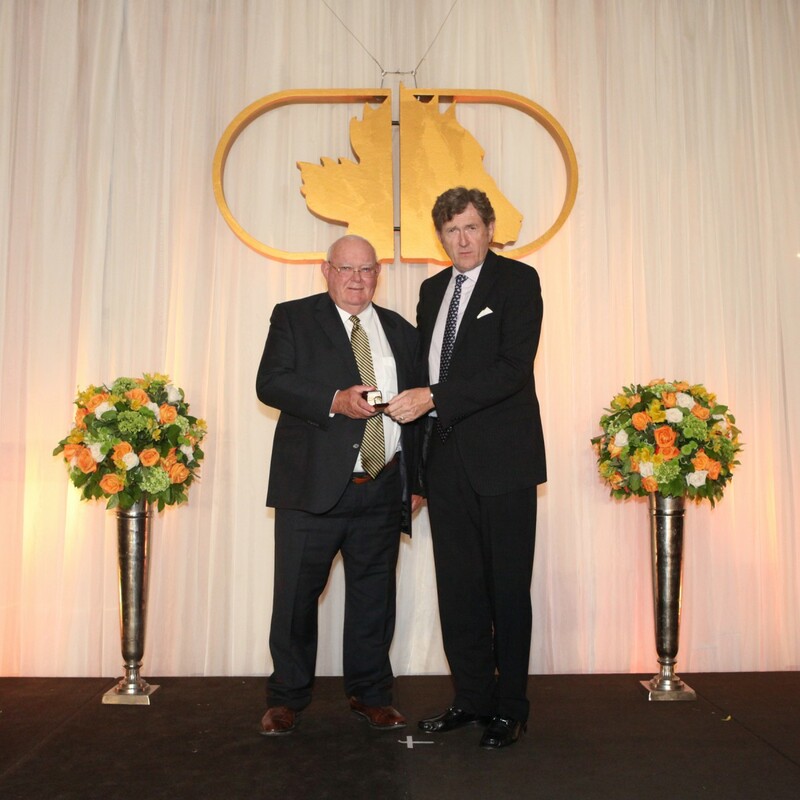 In addition to being an honoured member of the Canadian Horse Racing Hall of Fame, Mr. Graham is amember of the Brampton Sports Hall of Fame and the Ontario Road Builders Association Hall of Fame, and was recently named a recipient of the E. P. Taylor Award of Merit by the Jockey Club of Canada.